I actually think that I might be more excited than nervous, but I’m definitely feeling like maybe there is something that I’m forgetting! Last year was a such a gift because it was like teaching with training wheels; I got to share an already set-up classroom for an entire year. Now, I’m sitting here wondering what I should be doing to prepare for the upcoming craziness that I’m sure is around the corner. 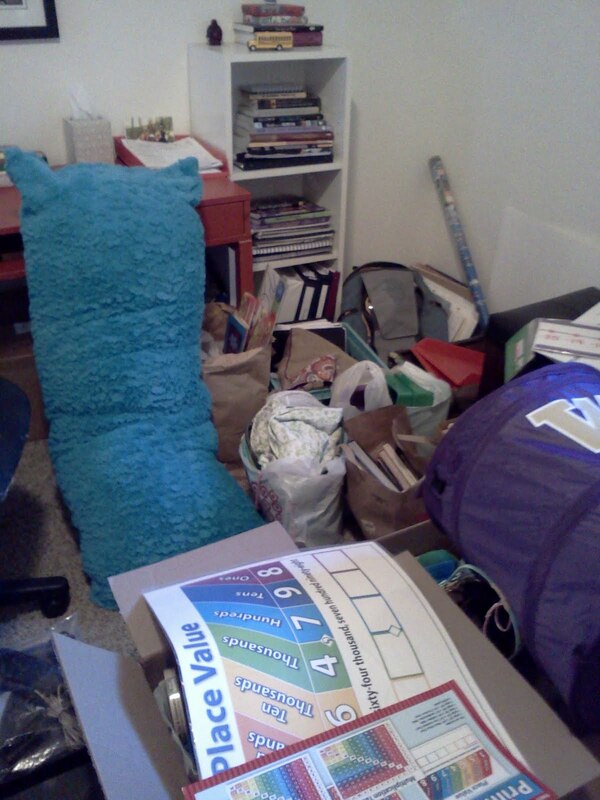 I’ve already collected piles and piles of items for my classroom, made posters, read books… Below is a picture of just one corner of Alex and my poor office at home. It’s piled full of stuff that will go into my classroom this week. I don’t think that most people realize how much goes into setting up a classroom, I certainly didn’t, and probably still won’t until next week! Let the fun begin! About 1/2 of all of the stuff headed to my classroom! My favorite addition to my classroom so far! 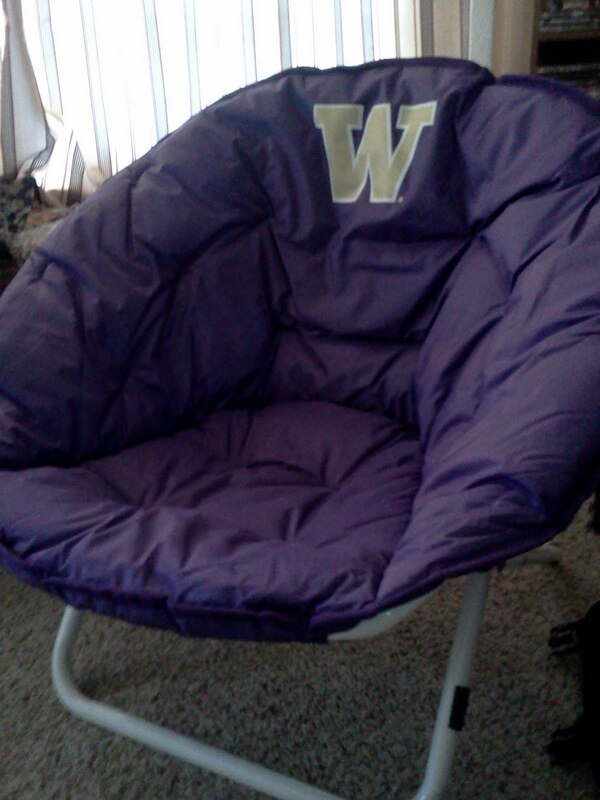 Every class is named after a college, mine is UW, so this will be my author’s chair for students to come up and sit in when they read their writing to the class!